Every day The New York Times, The Washington Post, The Wall Street Journal, USA Today, and every other daily newspaper acknowledge on their front pages that Jesus of Nazareth is the most influential person who ever lived, and that his impact on the history of the world is greater than that of any other individual. That acknowledgement is also on the cover of Time, Newsweek, US News & World Report, and People every week. In fact, the same acknowledgement is prominently displayed on the home pages of atheist.org, athiestalliance.com, infidels.org, andcelebathiests.com. You probably placed a similar notice on any correspondence you recently sent out. You see, each one of those newspapers, magazines, websites, and articles of correspondence had a date on them. The event we will be celebrating on December 25 was actually the pivotal event of history. 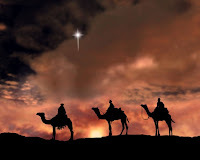 Jesus of Nazareth was born in a small Middle Eastern village as an obscure Jewish carpenter. He never held a political or military office. He never wrote a book. He never traveled extensively. He was put to death as a criminal after his most committed followers deserted him. Yet, the simple fact of the matter is that we measure time in relation to when he was born. Every significant, and insignificant, person and event occurring before Jesus was born, we identify as BC - Before Christ. And, every significant, and insignificant, person and event occurring after his birth, we identify as AD - Anno Domini, which is Latin for, “In the Year of our Lord.” Even the alternative designation of BCE and CE used by some modern authors, archeologists, museums and others not wanting to specifically acknowledge the implications of the dating formula must admit that the “Common Era” began with the birth of Christ. Unlike other major religious leaders, Jesus did not claim to be a great prophet showing mankind the way to peace and prosperity. He claimed to be the Way. Unlike other major religious leaders, Jesus did not point the attention of the people to God, encouraging them to follow Him. He pointed the attention of the people to himself. Jesus is the only major figure in history who ever claimed to be God, and the only person who ever lived who has convinced a significant portion of the world’s population that he actually is God! Come to me, all you who are weary and burdened, and I will give you rest. . . . I am the Way, and the Truth, and the Life. . . . I am the bread of life . . .
Whoever believes in me, as the Scripture has said, streams of living water will flow from within him. . . . I am the Light of the world. . . . I am the Good Shepherd. . . . I and the Father are one. . . . Anyone who has seen me has seen the Father. . . . I am the resurrection and the life. He who believes in me will live, even though he dies . . . It is not uncommon to see a bumper sticker on a car, or some graffiti written on a wall somewhere that informs you that God loves you. It is so common that we rarely ponder its significance. But, it is a distinctly Biblical message. "God Loves You" is an especially profound statement to those in polytheistic cultures where the gods clearly donot “love” their adherents. They tolerate them, at best, and must be appeased so they won't hurt their followers. The Tannese had hosts of stone idols, charms, and sacred objects, which they abjectly feared, and in which they devoutly believed. They were given up to countless superstitions, and firmly glued to their dark heathen practices. Their worship was entirely a service of fear, its aim being to propitiate this or that evil spirit, to prevent calamity or to secure revenge. . . . Sacred men and women, wizards and witches, received presents regularly to influence the gods and to remove sickness, or to cause it, by the Nahak, i.e. incantation over remains of food, or the skin of fruit which the person had eaten on whom they wished work. They also worshipped the spirits of departed ancestors and heroes, through their idols of wood and stone. They feared these spirits and sought their aid, especially seeking to propitiate those who presided over war and peace, famine and plenty, health and sickness, destruction and prosperity, life and death. Their whole worship was one of slavish fear, and, so far as I could ever learn, they had no idea of a God of mercy or grace. The great significance of the event we call Christmas and the distinctive Biblical teaching about who Jesus really is can easily be completely overlooked. What the Bible is saying is that God Himself loves us and is our Savior. God did not ultimately only send human or angelic messengers to tell us who He is, what He is like, and provide some kind of means to salvation. Rather, He Himself came into the world to save us. The birth of Jesus of Nazareth changed history. The Creator of all entered time and space to become a man, and provide a way for all to be reconciled to Himself.